Here’s the latest in Timberwood…. As you all are probably aware, not only did we see the light at Slumber Pass go live into the blinking mode in preparation for its actual final installation this week, but we saw the light just North of Blanco and Huebner go live this week. Big changes for those who travel north on Blanco! Earlier this week we had traffic problems with the activation that light, but it appears the timing on the light has been corrected and we have smooth traffic flow going North now. The finish work on Borgfeld still seems to slowly be moving along toward completion. Not sure what happened to the deadline to get the road fully opened, but hopefully, with the weather holding, we can see the barrels removed and the whole road available for travel in the near future. There is still drainage work being done as well as erosion management taking place at this time. This is a great organization and they have come to Timberwood on a number of occasions to assist property owners with wildlife issues and concerns! As an additional note, Judson Service Center for Bexar County Public Works will pick up dead wildlife from the right of way only on your property. If you have an animal down on your property and want assistance removing it, move it to the right of way and contact the Judson Service Center (number can be found on the “Help Desk” tab of the web page) to have them put it on their work order list for the week. 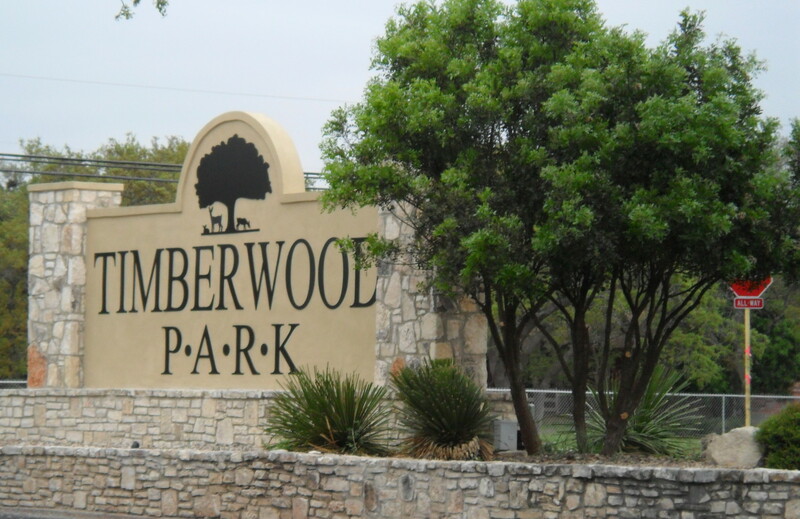 They have been very responsive to Timberwood Park in the past for these issues. I note that the board has requested property owners provide feedback about the clubhouse and what their suggestions might be for remodel/renovation and upgrade. Please take the time to respond to the survey which will be arriving or has already arrived via email to you. This survey is one of the best tools to have your voice heard regarding what you would like to see in our park. The board has this item on next week’s HOA meeting agenda. Providing your feedback as a property owner paying assessments into the account funding the decided improvements is important to a well rounded process. Many voices supplying feedback, no matter what your opinion is, for future development and improvements is representative of a community that is involved in its future. That’s a good thing for every property owner in Timberwood Park! HOA meeting scheduled for Tuesday, February 5th at 7 pm in the clubhouse. Attend to hear about potential plans for the clubhouse! Hope you are all weathering cedar fever season well and looking forward to spring in the coming months!